The Championships Series returns this year, with Britain’s best gymnasts from four dynamic disciplines set to show off their skills at Liverpool’s M&S Bank Arena from 25-28 July. 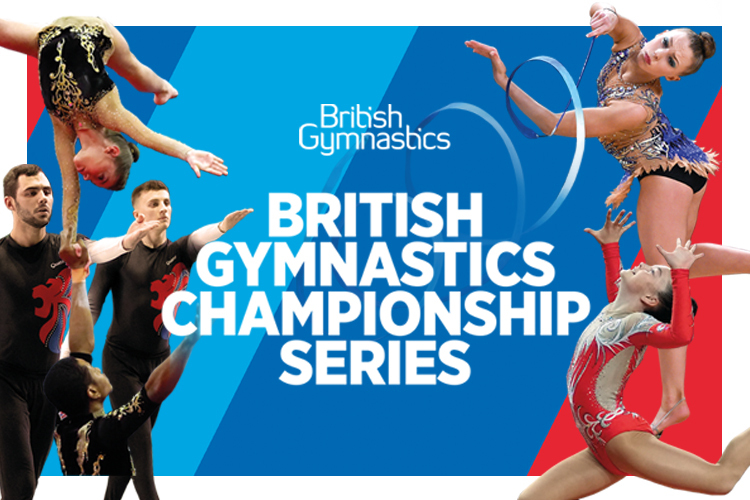 Over four days of non-stop gymnastics action; acrobatic, aerobic, rhythmic, and TeamGym gymnasts will unite under one roof to compete for prestigious British titles. Aerobic Gymnastics is bursting with high energy music and skills; with routines performed either individually or in groups in a blur of muscle-burning jumps, lifts and lunges. Rhythmic Gymnastics is all about spellbinding routines performed on the floor. Watch as gymnasts compete gracefully mastering the ribbon, the hoop, the rope, the clubs and the ball. Acrobatic Gymnastics requires an extraordinary amount of courage and trust! Gymnasts in pairs or groups will perform spectacular choreographed routines with intricate balances, exciting multiple somersaults, with partners being dramatically thrown and caught. TeamGym is a fantastic combination of floor routines and thrilling somersaults on the tumble track and trampette. Team spirit really shines through the impressive routines providing great entertainment for those watching. If you want to be there to see it live, you can choose the best ticket for you! Day tickets give you access to one day of competitions. Four day event tickets give you access to all four days of competition, and is the same cost as two day tickets so you get two extra days for free! Group tickets are discounted for groups of 10+ people, and are perfect for taking your club or large group of friends. Buy your tickets now and see what’s on during each day of competition.